Australasian Journal of Educational Technology2004, 20(2), 232-247. Blog is mingling of what happens in a person’s life and what happens at net. As the way of thinking varies from person to person so is the blog created by them. Blogs could range from a personal diary to political or social issues. It could be very specific to a narrow subject, or could be wide to include a range of subjects. Another term to describe them is web logs or weblogs. 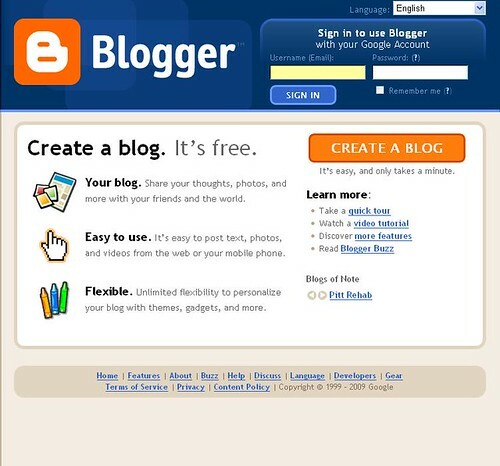 Blogs gained thrust with the introduction of automated published systems, like blogger.com. Services of blogger are mostly used to accelerate and simplify the process of publishing. It’s the hierarchy of text, data or images arranged in the reverse chronology. A blog could be accessed by any internet user. The origins of the blog is the subject of some debate, but according to Blood (2000), the phrase 'weblog' was first used by Barger (1997) and the shortened version by Merholz in 1999 (Merholz, 2002).Blogging as a phenomenon started to increase steadily after this time, and then there was an explosion in the number of blogs when the first free, do it yourself blogging tools became available in mid-1999, most notably Blogger.com. The purists within the blogging community ('the blogosphere') would likely claim, though, that blogging really started in 1992 with the first web site(Berners-Lee, 1992), followed by Netscape's 'What's New!' page for users of its new web browser in1993. However, neither really come close to the current notion of a blog, and in this sense Scripting News (the brain-child of blogger 'guru' Dave Winer), and Slashdot (both of which started in 1997)stand out as important precursors. Blogs can be categorized in many types which don’t differ in just the content type but also in the way content is delivered. Personal blog is an online diary of a person who might have an illusion that people are interested in author’s life. Mostly such blogs are visited by none other than bloggers themselves. Such blogs serve the function of communication between bloggers and their friends as it’s much faster than emailing. Blogs which are used to serve business and management purposes are called corporate blogs. They could be used by a corporation to enhance communication internally among the people of corporation, or they could be used for marketing or public relation purposes. In questioning blogs anyone can ask a question focusing on the genre of the blog or it could be general question in case of wide range blog. These questions are answered by the author who surely has a command over the subject. Blogs could be defined according to the media used in them, like blog which contain videos is called vlog i.e. you tube. Blogs containing links is called linklog and one containing photos is called photolog. Blogs with shorter posts and mixed media types are called tumblelogs. A blog could be specified to particular type like sports, politics, music, or education. Such classification of blogs is called division by genre. There are few things which are common to every type of blog. Blog archives are the chronological collection of monthly posts or categorically featuring all the articles related to a specific category, which is mostly kept in a sidebar. We could say that archives establish the history of blog. There are endless possibilities in which you can archive your post, like alphabetically or under author’s name. Archives establish the history of blogs and are a good way to organize and present articles in a compact manner. A blogroll is a list of website that appears as links on weblog that a given blogger either subscribes to or recommends. They produce cross-links and form a connection. You don’t need to use html to add links to yours weblog. All you have to do is to utilize the tool Blogrolling.com and a link will be added just by clicking twice. 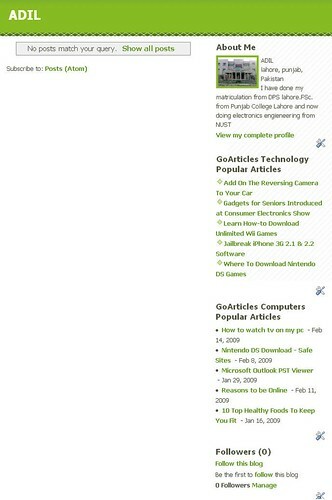 Blogroll.com is responsible for the hardware and software which display the links on weblog. It doesn’t cost to add blogrolls to your blog. Blogroll is not an essential element of a blog site but it’s your contribution to let people discover other useful resources. It’s not advisable to have lots of blogrolls because it will take readers away from blog site. 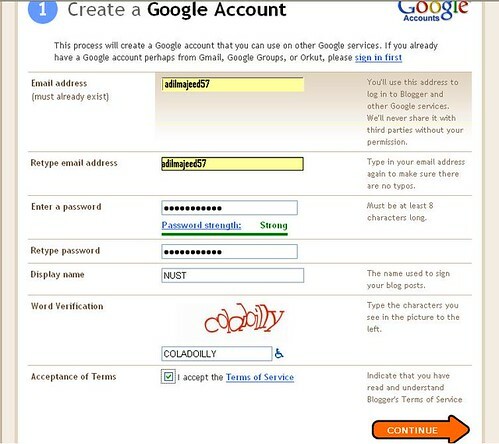 RSS Feed is an abbreviation of Rich Site Summary or Read Simply Syndication. They appeared on the scene a number of years ago but webmasters recently accept them as a source to syndicate content in an effective manner. RSS Feeds provide an opportunity to webmasters and content providers to provide a brief outline to prospective readers. Now, thousands of commercial websites and blogs publish content outline in an RSS Feed. Generally, each item in a Feed contains a headline, article summary and a line back to the online article. Blog syndication is when you use your blog’s feed to deliver your blog’s content to other blogs. RSS or Atom feeds are the types of blog syndication. There are tools which are known as feed readers. They keep checking specified blogs for updates. Whenever there is an update, it is displayed in a new post with a link to it. New items are automatically uploaded by feedreader and are made available for reader. Particular blog in which you are interested, just add the RSS link of that blog to the feedreader and you will be informed of any new post. These syndication feeds are available for readers to use. There are number of online tools that can be used to create a blog. Due to security it would be best to use a standard HTML (Hyper text Markup Language) program. We usually use Dreamweaver for creating our daily post but it is too weary to type an email. The content is then sent via FTP (File Transfer Protocol) to a web server. If you want to test the waters there are online web-based tool that helps you publish to the web instantly. The most popular web based tool is likely Blogger http://www.blogger.com. 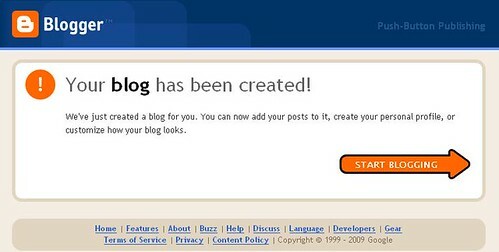 The first step in creating a blog site is to logon to www.blogspot.com . When you click that button new window screens appear having certain tabs that requires information related to create a new account such as your existing mail address, password, and your name which is to be displayed on the front page of your blog site. After filling these tabs click on the CONTINUE arrow at the bottom. On the next screen there are tabs that require your blog title and your blog address (URL). There are advanced options that allow you to host your blog somewhere other than BlogSpot and use import blog tool to import an existing Blogger blog. In second step you have to select a template for your blog. You can select any one of the template according to your taste. Templates allow you to change the outlook of your blog site. When your settings have been saved a confirmation screen appears about the creation of your blog site. 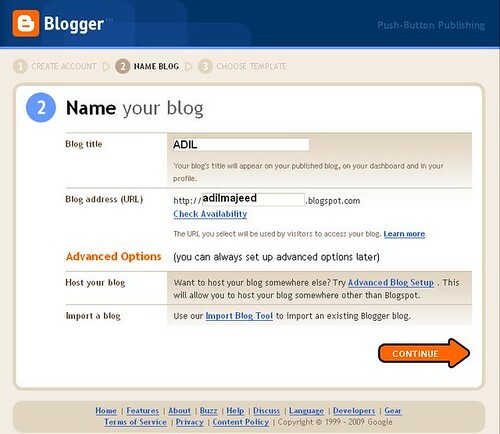 Click on “START BLOGGING” arrow to enter into the world of blogging. Your newly created blogsite looks like as above now you can modify it according to your interest. Blogs are turning out to be the latest trend in online communication; to propagate online presence blogs are being used by millions of people. Blogs are the best source in encouraging and empowering students to think more critically about the analysis made. Its forces students to confront their own opinion and ponder how their views might be interpreted and reflected upon by others. A number of universities worldwide are using blogging tools for example, the University of Iowa, Rice University and Harvard University. Plans to use blogs have also been implemented at Stanford University and RMIT University in Melbourne. 'Weblogs at Harvard Law' is hosted by the Berkman Center for Internet & Society at Harvard Law School. Anyone who has a harvard.edu email address can create a new weblog free of charge. Blogs no doubt are a very useful tool when it comes to technology and specifically technology related to electronics. Few such examples are robot.net, techcrunch.com, slash.org. In these blog sites you will find regular updates in rhythm and gives an opportunity to discuss and learn how other professional view it. The feature of a professional business blog is to provides the opportunity of telling existing customers industry news, updates, or generally how mobile or paging software can be used in particular situations to lessen problems. The professional software blog is less formal and contains marketing tips or promotional advice for software developers or online marketers. This article focuses on the application of the internet to higher education learning, and argues that cooperative systems and online communities present universities with the best opportunity for universities in the commoditization of knowledge. The article offers examples of blog implementation in learning environments. This blog is a collective resource for academics sharing knowledge about use of weblogs and wikis in higher educational contexts. This blog is focuses on current topics in web based learning and promotes various relevant articles. This archive records a series of examples of blog use in higher education contexts, and has a link to a matrix of uses of blogs in education. This article considers the range of contexts in which blogs may be utilized to improve the learning experience of students in the higher education sector. It also offers links to opinion based pieces on the matter, and to blog development tools for implementation of a weblog. This short blog post from a Harvard University pedagogue reflects of the potential value to be added by use of blogs in higher education institutions. This PowerPoint presentation investigates the value of RSS syndication techniques for aggregation of data, and provides many links to relevant resources on blogging in educational contexts. This index of education blogs is the result of a search in one of the major search engines focusing exclusively on blogs.